Sepsis and acute kidney injury (AKI) are increasingly encountered and result in substantial morbidity and mortality in critically ill patients. Sepsis has been consistently shown to be a major contributor to AKI development. Likewise, AKI patients are more prone to infection and sepsis due to the negative influence AKI exerts on the immune system. 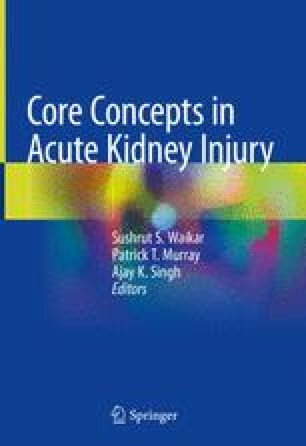 Although our understanding of the pathobiology of sepsis-associated AKI (SA-AKI) is still incomplete, growing evidence continues to suggest it represents a subclass of AKI with unique and multifaceted mechanisms that include systemic and intrarenal hemodynamic mechanisms, renal microcirculatory dysfunction, and activation of immune and inflammatory pathways resulting in direct renal injury. The development of SA-AKI portends a worse prognosis than the already unfavorable outcomes of patients with isolated sepsis or AKI. While no specific treatment options to target SA-AKI exist yet, the general principles in the evaluation and management of SA-AKI are aimed at early fluid resuscitation and antibiotic administration, followed by a strategy of limiting injury, avoiding life-threatening complications, eliminating any potential contributors to worsening kidney function, and facilitating recovery. As our understanding of the pathobiology of SA-AKI expands, additional rigorous investigation is needed to develop novel and effective preventative and therapeutic interventions. Dr. Bagshaw is supported by a Canada Research Chair in Critical Care Nephrology.